Haley, our nurse from Tennessee and now Texas, told me that she wanted to go to a true Wisconsin fish fry before heading home at the end of the summer. So, after polling a few people at the staff table for the BEST place to go for Friday Fish Fry, we decided to try the Honey Bear Inn in Eagle River. When we pulled into the parking lot before 5:00 pm (we were told that we had to get there early), it was PACKED beyond belief! 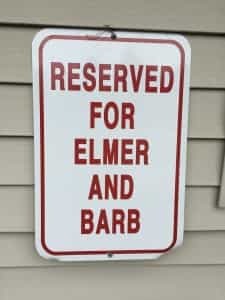 Evidently, the only parking space that was guaranteed was the one posted on the sign below. Haley then got out of the car and went inside to ask how long the wait would be and came back saying that it would be 45 min – 1 hour. 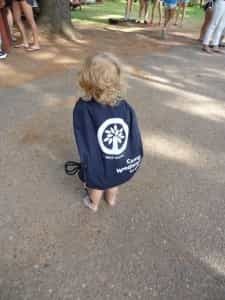 Since we had baby Emy with us, we thought better of waiting for an extended period and ended up going back to Woodland. I guess we will have to leave camp earlier next time! 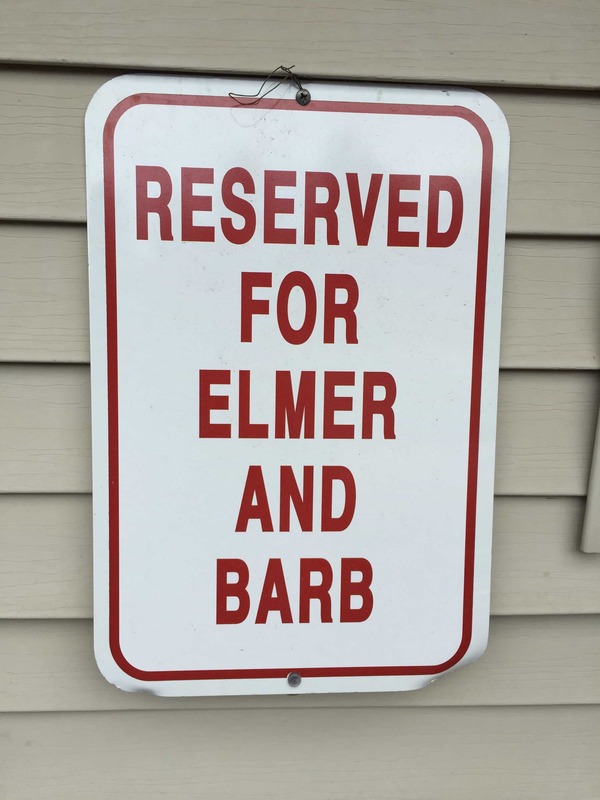 Elmer and Barb are not the only ones who have their spot reserved – you can, too! It is hard to believe that we are heading into the last week of summer 2015 – it has gone by really fast! 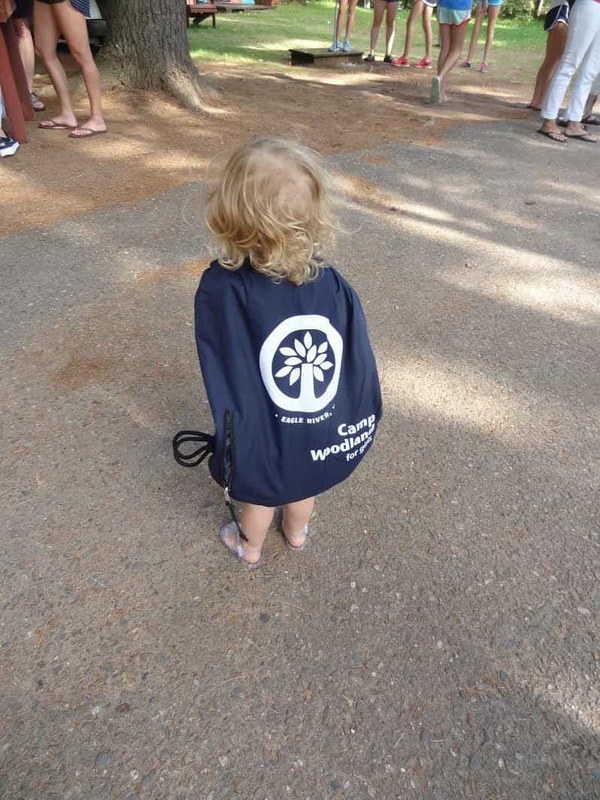 The good news is that you don’t have to wait to enroll your camper(s) for summer 2016. You can reserve your spot now and take advantage of our early enrollment promotion for all 2015 campers! Just fill out the application before or when you come to camp to pick up your daughter(s) next weekend (or mail it in by August 9th). The deposit is $250 (instead of the usual $500) and there is a 5% discount on next year’s tuition. On top of that great deal, we are giving out a special Woodland Sport Pack as a thank-you for taking advantage of this one-time offer! p.s. The theme for 2016 is: Everything Clicks in 1-6!